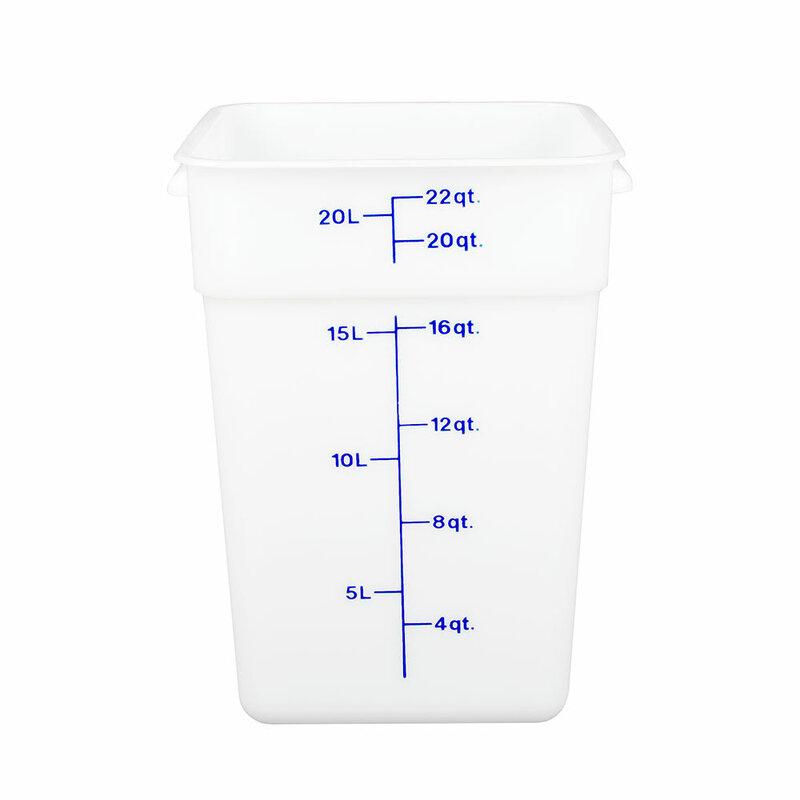 The Cambro 22SFSP148 CamSquare® square food container has a 22-quart capacity and is made of stain-, chemical-, and impact-resistant polyethylene. It has graduations printed on the outside to help users check inventory, and it is stackable with other containers to maximize space. It withstands temperatures from -40 to 160 degrees Fahrenheit and is dishwasher safe. 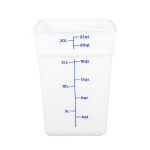 Learn more about food storage by reading our food containers guide.